A treasured holiday classic comes to life onstage at Oglebay Institute’s Towngate Theatre. 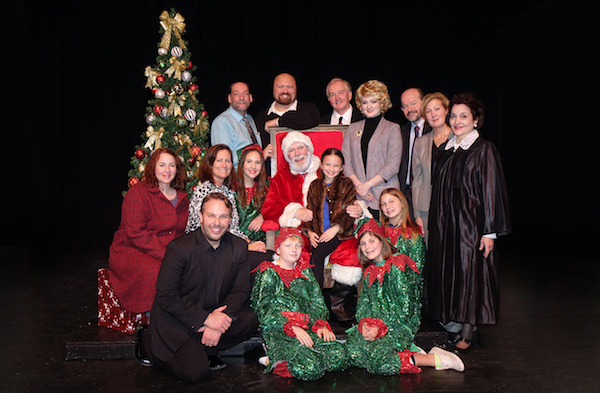 “Miracle on 34th Street” will be staged for two weekends–November 30, December 1, 2 and December 7 and 8. Talented local actors tell the story of how Kris Kringle enchants children and adults, takes on cynics and unleashes waves of goodwill. In this beloved story, a white-bearded gentleman working as a Macy’s holiday Santa claims to be the REAL Santa Claus. Because he enchants children and shoppers so completely, he is deemed dangerous by fellow employees. They question his competency and plot to ruin him. A small girl’s belief in Santa and the magic of the holiday is at stake in a climactic courtroom decision. The entire family can enjoy this funny, tender and charming show. John Reilly directs the show. Cast members include: Briele Dobson, Alex Fabrizio, Pete Fernbaugh, Robert Gaudio, Reagan Hughes, Elizabeth Jeffers, Patricia Jeffers, Karen Kahle, Karissa Martin, Wayne McCord, Maria McKelvey, Colin Roose, Clare Seibert, Kristin Seibert, Jim Showalter, Justin Swoyer and Frank Wilson. The production is a true community effort– volunteer actors share their time and talents and area businesses provide financial and in-kind support. Unified Bank serves as corporate sponsor for Towngate’s entire 50th season. Macy’s awarded a grant to Towngate for productions of “Miracle on 34th Street” and “The Nutcracker,” which will be staged at Towngate December 22 and 23. Oglebay Institute development director Micah Underwood said Macy’s has also partnered with Towngate to provide unique experiences for theatergoers. 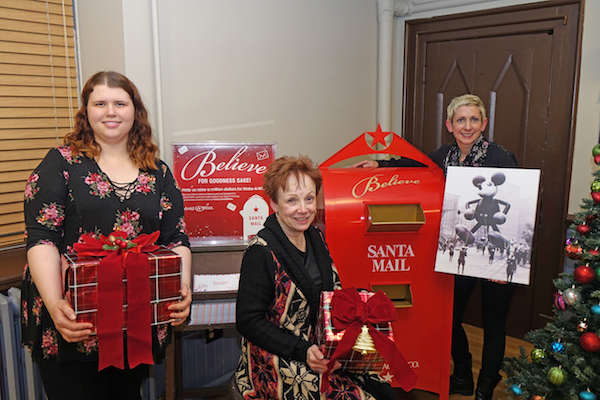 “Macy’s employees assisted with decorating the Towngate Theatre lobby for the holidays and provided a mailbox and postcards for children to write to Santa. Macy’s classic logo will appear on the set in the toy workshop opening and party scenes of ‘The Nutcracker.’ The store has also donated a fragrance basket for raffle during the run of ‘Miracle on 34th Street,’” she said. In addition, patrons can view an exhibit, courtesy of Macy’s, that features prints of Macy’s Thanksgiving Day parade balloons. It will be on display in The Gallery at Towngate through December. L-R: Macy’s employees Anessa Wilson, Bobbi Dove and Jennifer Prietsch, VP-Store Manager, Macy’s Ohio Valley #641. 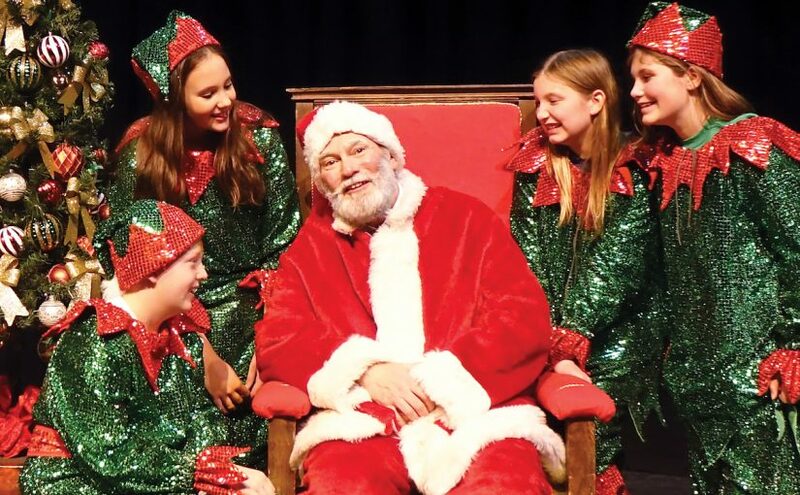 Evening performances of “Miracle on 34th Street” take place at 7 p.m. November 30, December 1, 7 & 8. A matinee performance takes place at 3 p.m. Sunday, December 2. 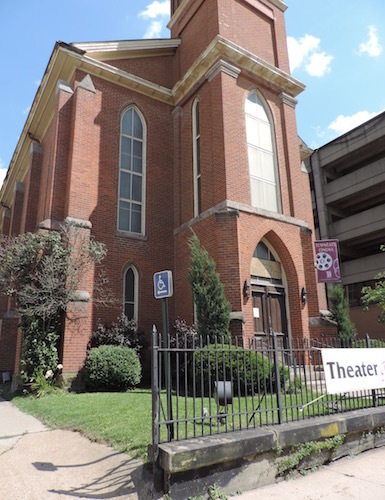 Towngate is the premiere venue for community theater in Wheeling. Enjoy an intimate theater experience. Marvel at and applaud the talent of local actors. Experience a variety of though-provoking, heartwarming, comedic and historically significant works from renowned playwrights and talented newcomers. When watching a stage production, you are transported into a different world. Escape from reality and feel the energy created by sharing an intimate space with actors and fellow theatergoers. Live action happens right before your eyes. There’s no app for that! Furthermore, theater is a social experience meant to be shared with one another. So, bring your family and friends and meet new friends, too. And, most importantly, support your local actors, directors, stage managers, set and costume designers. They spend months working to bring characters and stories to life. Their efforts produce amazing art time and time again. Located in Wheeling’s historic Centre Market District, Towngate is a cornerstone of creative life in Wheeling and serves as an entertainment destination for residents of the Ohio Valley and beyond. People of all ages and backgrounds gather here to create and experience art onstage. In addition to seeing community theater at Towngate, you can also attend poetry and spoken word performances. Bring the kiddos to children’s theater productions. Attend the ballet. See improvisational comedy, too. Area musicians perform on the Towngate stage. Towngate is also home to the Wheeling Film Society and art house cinema. Towngate is an art gallery, too, with changing art exhibits on display. Previous: Previous post: What’s New at the Schrader Center?